You have added Gift Certificate into Compare list. You have added Gift Certificate into Wishlist. 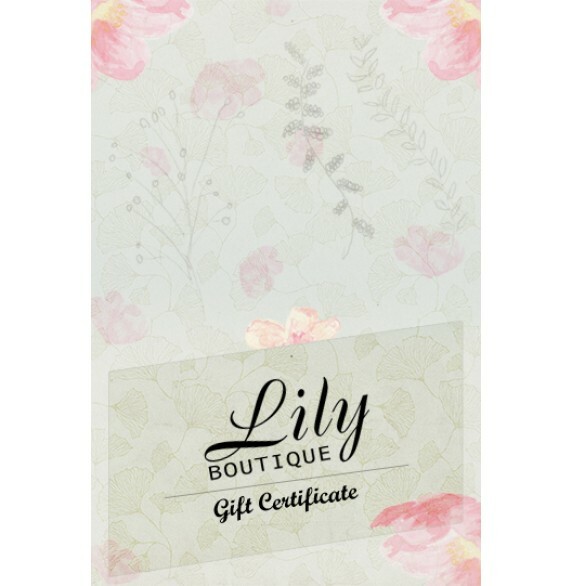 Give your favorite fashionista exactly what she wants-- an E-gift certificate to Lily Boutique! Enter your information and select the amount you would like, and we will e-mail the gift certificate to you or to the recipient. You can also log into your account and print off the gift certificate to give as a physical gift. Note: Gift cards are nonrefundable or redeemable for cash or credit. 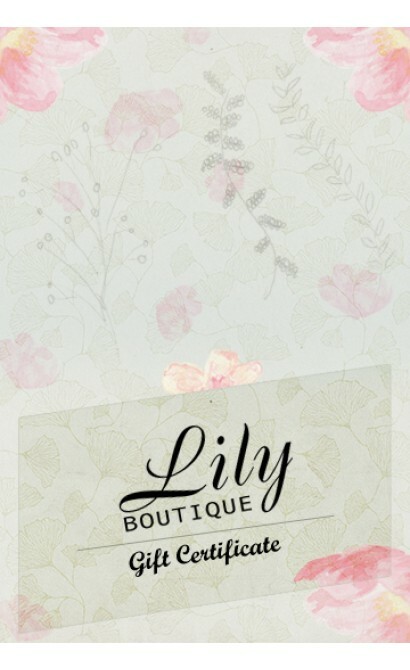 Gift cards may be redeemed at Lilyboutique.com. Gift certificates last one year from the date of purchase. You have added Gift Certificate for Stock Notification. You have set Gift Certificate as a loved product. You have removed Gift Certificate as a loved product.